Ford Ranger in 2019 starts at a price of Rs. 74 Lakhs in Nepal. Go Automobiles, the authorized distributor of Ford cars in Nepal, are currently selling only 3 variants of Ford Ranger pickups. These variants are XL M/T XLT M/T and Ranger Raptor, which come with 3.2L and 2.0L diesel engines. They come with manual transmission, which is generally the case in pickup vehicles. Please note that above price of Ford Ranger is subjected to change and is for reference purpose only. Kindly contact Ford Nepal to get the latest showroom price. Note: Ford Ranger price list was last updated on February 12, 2019. Ford Ranger is mid-size compact pickup vehicle. This vehicle directly competes with the likes of Isuzu D-max, Toyota Hilux, Volkswagen Amarok, etc. 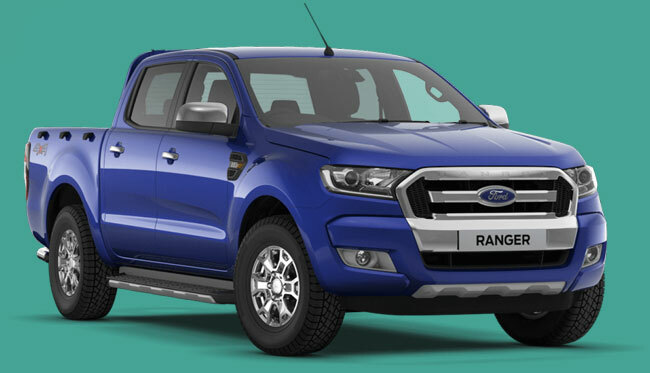 In terms of price range, Ford Ranger can be labelled as more cheaper as compared to Toyota or Volkswagen. This is the case with most of their other vehicles as well. Ford Ranger is a re-engineered version of Japanese built Mazda B-series. Initially they were known as Ford Courier, however, they were upgraded and re-marketed as Ford Ranger. They were a popular pickup vehicle in America, but, in recent past they lost their charm. However, they are soon coming with the lasted safety and infotainment system with improved reputation. Talking about the specifications, current variants of Ford Ranger include double cab XL and XL, which comes with 3198cc diesel engine. They have fuel tank capacity of 80 liters and gives mileage of around 8.5 kmpl. Ford Ranger has a ground clearance of 232mm. It comes with some of the standard features such AC, dual airbag, cruise control, anti-lock braking, center locking, hill holder etc. You can message us your queries regarding Ford Ranger price in Nepal or its specifications/features at our Facebook page.